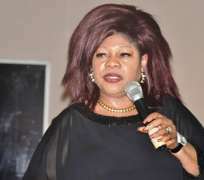 A Federal High Court in Abuja on Monday ordered the temporary forfeiture of 46 properties allegedly belonging to Dr. Ngozi Olojeme, the Deputy Chairman, Finance Committee of the Goodluck Jonathan Campaign Organisation in the 2015 election. Some of the properties include: a twin duplex office building – Plot R/151 (No. 30A) Kingsway Road, Old GRA, Enugu State; a parcel of land measuring 4833.241 sq. metres located at Uberi Bush along Mbiama Road, Akenta, Yenegoa, Bayelsa State; and a parcel of land located at Igbandaden Bush, Emeya 2 Town, Ogbia LGA, Bayelsa. Punch reports that Olejeme, who was the Chairman of Nigeria Social Insurance Trust Fund, is wanted in a case of criminal conspiracy, abuse of oﬃce, diversion of public funds and money laundering. The former chairman is alleged to have, along with Mr Umar Munir Abubakar, the former Managing Director of NSITF, mismanaged and diverted well over N69 billion in government funds into their personal accounts through the award of suspicious and bogus contracts to proxy companies. The suspect, who served as the Chairman of the Nigeria Social Insurance Trust Fund from 2009 to 2015, was in June declared wanted for allegedly diverting N69 billion from the agency but turned herself in last Monday. The EFCC subsequently received a petition alleging that over N50bn from the Employee Compensation Scheme fund paid by Ministries Department and Agencies and private companies as well as another N18bn being the contribution of the Federal Government as take-off grants to the NSITF were mismanaged and diverted into the personal accounts of Olojeme and Umar Abubakar, the Managing Director of the NSITF.